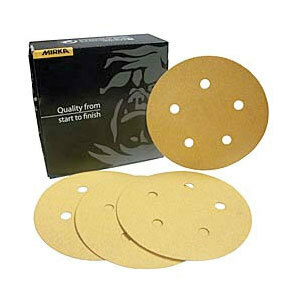 Mirka PSA (Stick On) discs for vacuum systems. 5 hole, 5" discs. 120 grit, C weight. Gold in Color.